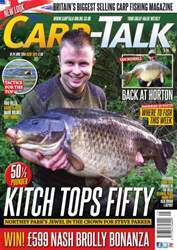 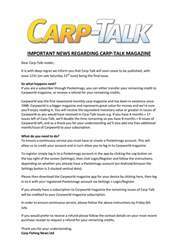 This week’s issue of Carp-Talk (issue 1025) is available to download now. 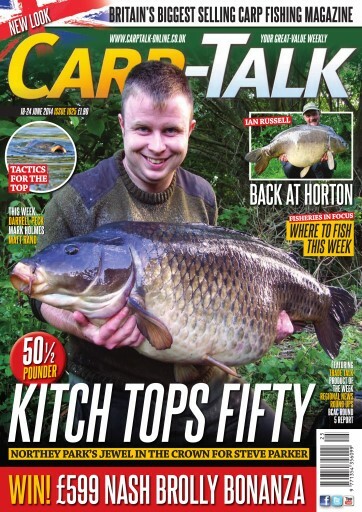 We look back at the fifth round of heats in the British Carp Angling Championship, the Nash team talks leads, and Matt Rand encourages us to think about our floater fishing. 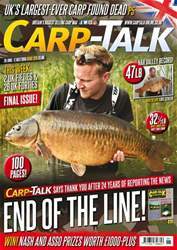 Ian Russell is ‘Back at Horton’, Darrell Peck explains the lasso rig, Mark Holmes talks about the importance of stealth when carp fishing, and Ben Wales looks at products from Aqua, 30Plus, BankBug, Fox and Wychwood. 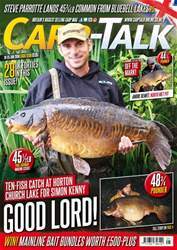 The Fox-Mainline Carp Angler of the Year competition continues, and we have got £599 worth of Nash brollies to give away.